They say time flies when your having fun and I guess it’s true. This semester has flown by in a blur. 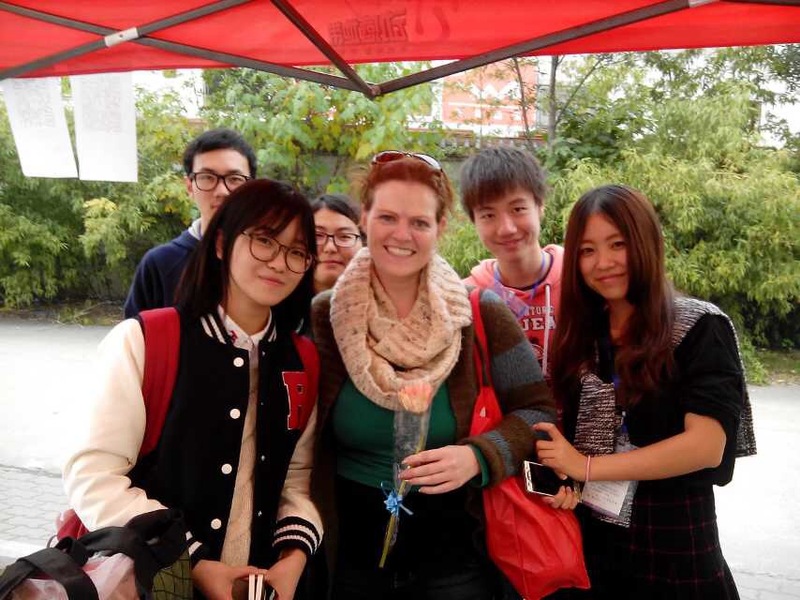 There are so many of you back home that keep asking me for an update on my work in China and what is going on with me this semester that I am finally getting a blog post up. This semester has been so busy for me that I haven’t really had much time to think about family or friends or people back home. Now it’s only 18 days until Christmas, and I’m feeling really homesick. I got a package in the mail from my mom and dad yesterday complete with Christmas cookies and candy canes, and it hit me that I won’t be coming home for Christmas this year. I love China and I love my Chinese friends and students especially but there is nothing like celebrating american holidays with Americans. I have tried to start some of my own family traditions this year, for example I had some of my Chinese students/friends come over last weekend and we baked sugar cookies, complete with rainbow sprinkles and colored sugar. They helped me string the lights and decorations on the Christmas tree, and hang a wreath on the door so things are feeling a bit more festive. I didn’t subject them to traditional Christmas music but we did listen to some gospel hymns while they worked. For dinner I made a big pot of Chili (the first they had ever tried) and we prayed for the meal and just sat around and talked for a while. After all the dishes were cleared away, we all stayed around the table and had a study for a couple of hours from the book of Matthew. And that’s my life really. It’s nothing that’s exciting or fantastic or glamorous, it’s just investing in people’s lives, sitting and talking around the kitchen table or spending the afternoon meeting in a quiet tea shop talking about the book. That an the occasional sugar cookie never hurt either.